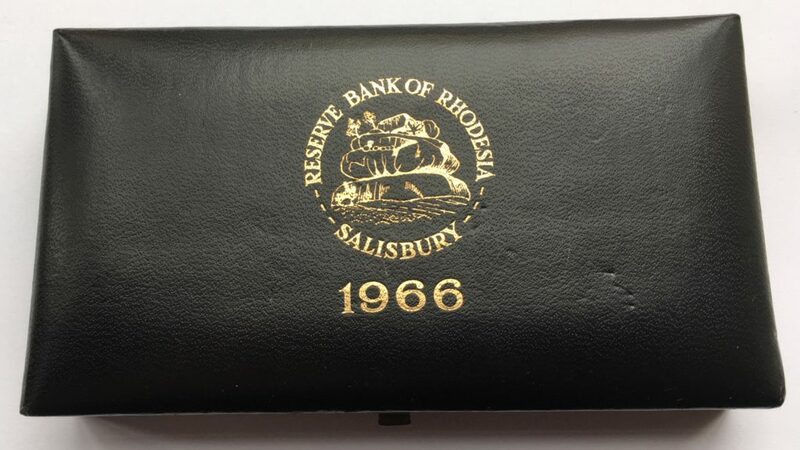 The 1966 Rhodesia Gold Set has a interesting history to it. Originally, this country located in Southern Africa, was known as Southern Rhodesia. Today it is know as Zimbabwe. Southern Rhodesia was technically a self-governing British Crown colony but in 1965 the Rhodesian Prime Minister Ian Smith declared Rhodesia as an Independent Dominion. Without the permission of the British government this was not legitimate, and as a unrecognised State they had sanctions imposed on them by the British Commonwealth and the United Nations. 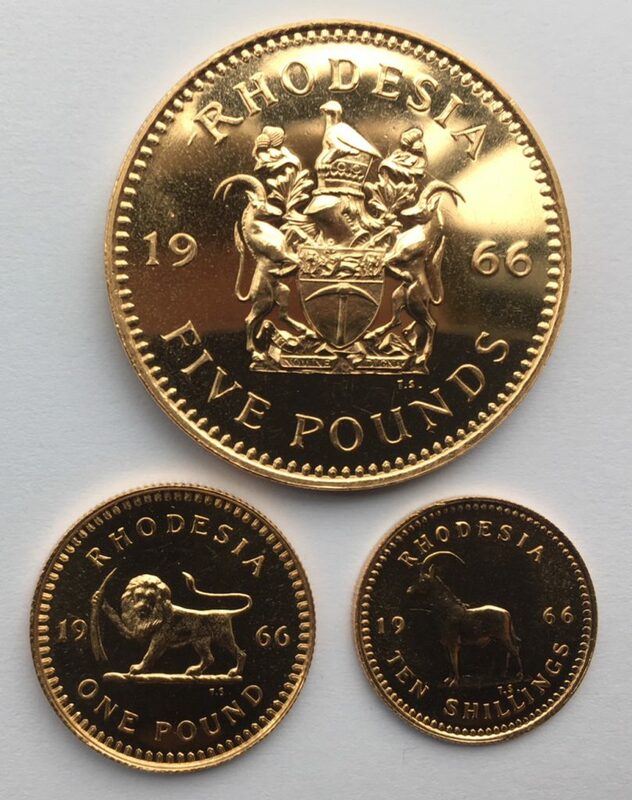 In 1966 the rebel government of Rhodesia decided to release a set of gold coins (issued individually and as a set) to commemorate the first anniversary of the Unilateral Declaration of Independence (UDI). The coins were minted by the South African Mint in Pretoria for the Bank of Rhodesia. 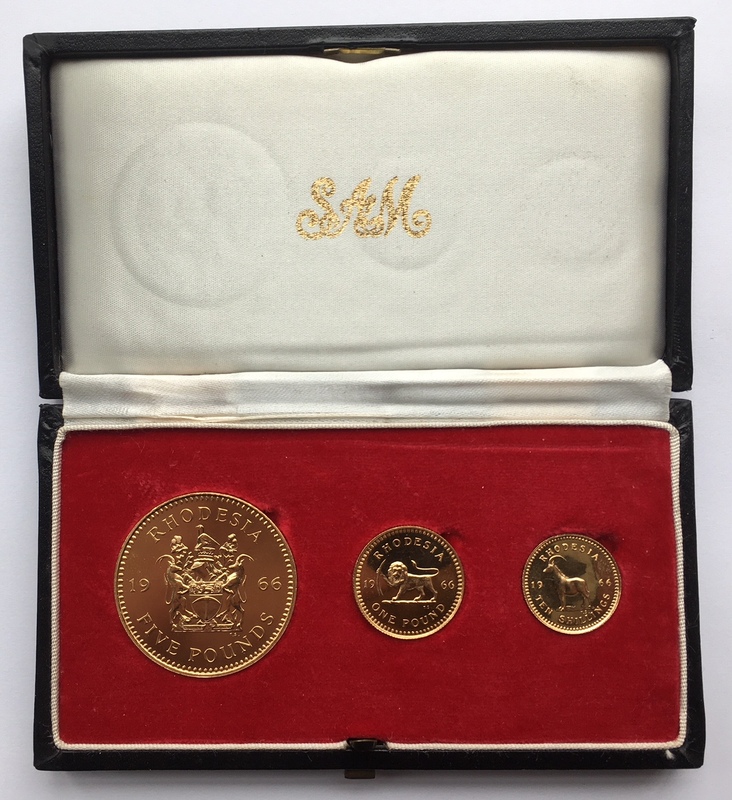 The coins were struck in 22 carat gold and denominated as five pounds, one pound and ten shilling. They are exactly the same size and gold weight of the British five-pound, sovereign and half sovereign. The obverse used the Arnold Machin portrait of Queen Elizabeth II. The reverse for each coin was engraved by Tommy Sasseen. The five-pound coin shows the coat of arms of Rhodesia. 3000 were minted. The One-pound coin shows the lion and tusk crest of Rhodesia. 5000 were minted. The ten-shilling coin shows a sable antelope. 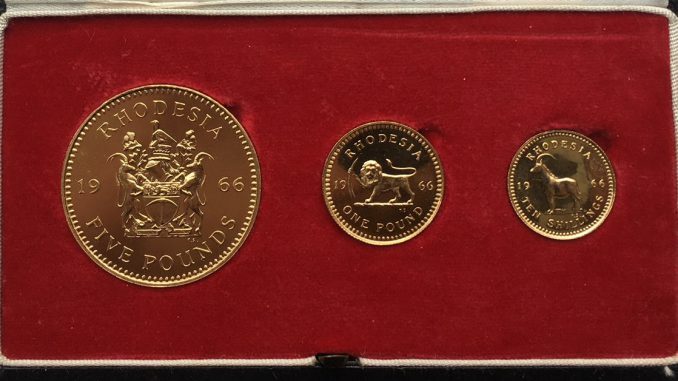 There was 2000 3-coin proof sets issued, with 52 g of 22 ct (91.67%) gold. It was not until 1980 that Britain recognised the new state and the country became known as Zimbabwe. 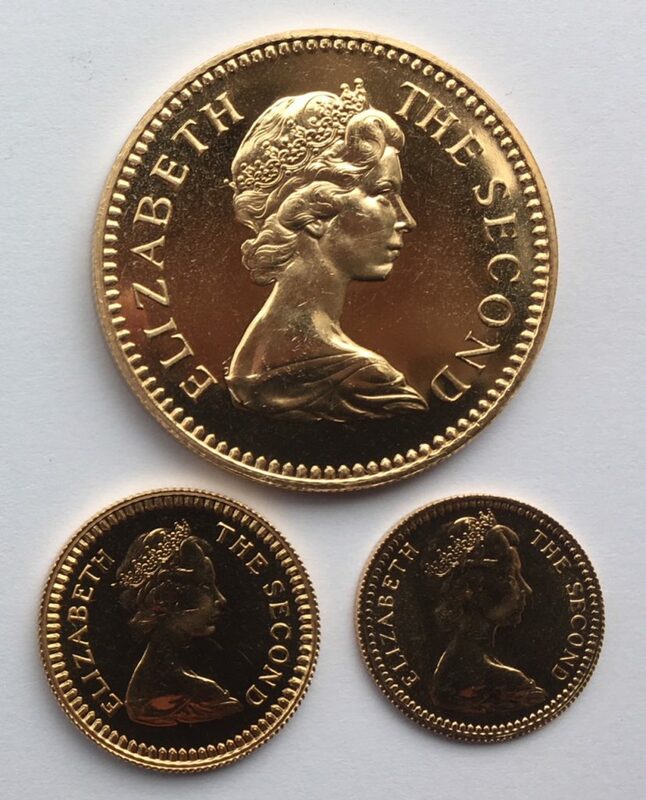 Images by permission of M J Hughes Coins, who are interested in purchasing gold coins like the ones above.